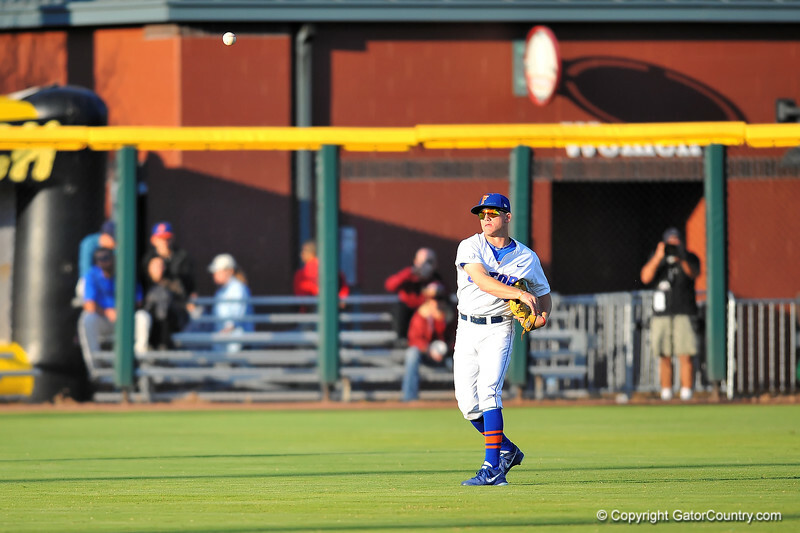 Florida OF Harrison Bader throws the ball back in after a FSU base hit. Florida Gators vs FSU Seminoles. March 25th, 2014. Gator Country photo by David Bowie.